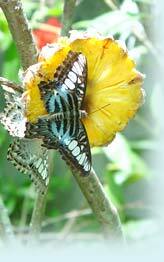 Already listed with our Phuket butterfly farm, garden directory? Welcome to a world of colorful butterfly at the butterfly farm in Phuket. Visit details of butterfly farms in Phuket via Phuketindex.com that provides all information about butterfly farms includes visitor information and information of each butterfly farm in Phuket.